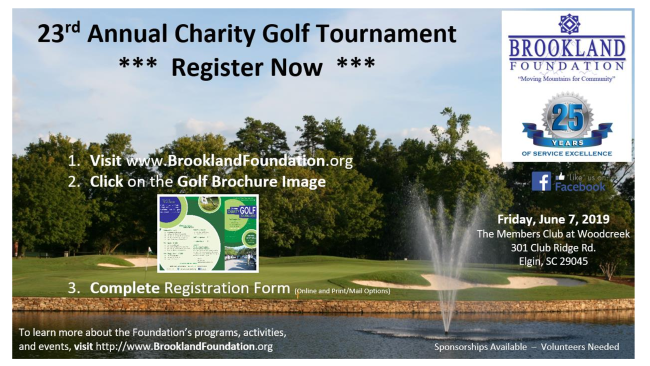 The Brookland Foundation and our Sponors are preparing for the 23rd Annual Charity Golf Tournament! Click buttons above to view the 2019 Golf Brochure or to Register for Tournament . Click picture to view 2019 Golf Flyer .